Every Tuesday and Wednesday during the month of May, we’ll be hosting a gluten-free guest blogger from around the web in honor of Celiac Awareness Month. Today we’re hosting the final post in a two-part series from Amy Leger, Family Editor for Gluten-Free Living and owner of TheSavvyCeliac.com. Part two is all about raising a gluten-free child; you can find part one here. This Celiac Disease Awareness Month has me thinking about all the tips I have learned over the years to make feeding my gluten-free daughter much easier. It was tough in those early days after my daughter Emma’s diagnosis in 2000. But with a little education and great information from the gluten-free community, life didn’t seem so overwhelming after a while. As the family editor for Gluten-Free Living and author of my website TheSavvyCeliac.com, I have interviewed a lot of experts. Here are some of their best tips when it comes to gluten-free kids. Esther Motyka is a registered dietitian with the Anoka-Hennepin School District in Minnesota. We talked about the two things parents should consider when trying to arrange a gluten-free school meal for their child. “First, give the district nutrition department a heads up as early as possible and second, have patience. If it is a new gluten-free request for a school, giving us enough time to get all of the pieces together is important; ordering the food, training staff, getting supplies, and getting a process in place” is important for success. She also recommended meeting with the staff right before school starts to make sure the student understands the process in getting their gluten-free meal. Scott Lissner, the ADA coordinator for Ohio State, talked to us about making gluten-free food accommodations at college. I asked him what parents and students should do to get safe gluten-free options. “Start with the dining hall. Take a quick look at the website for dining hall and residence halls. Talk to the dietitian about your needs. I would go there first. You’ll get a pretty solid and cooperation from dining services. Aaron Rakow PhD, Director of Psychological Services for the Division of Gastroenterology, Hepatology and Nutrition at Children’s National in Washington, DC, directs a program to help children learn how to live with celiac disease. But not every young patient will have access to a program like this. So how can a parent help their child learn to cope and where do parents find help if it becomes too much for their child to handle? “The child needs to feel like they have a place to go to talk about this and not to be judged. Parents should be available as someone who is always there to listen, especially just after diagnosis. Check with your child once a week. How was lunch? How did the food taste? How was the lunch you brought?” Rakow said. But if it gets to be too much, how can you find additional help? Rakow recommended working with a gastroenterologist and a registered dietitian. But also check with a therapist in cognitive behavioral therapy, preferably with a gastroenterological background. They can help treat anxiety, depression or a behavior disorder. Some children have trouble dealing with kids who bully them simply because they eat gluten free. Ritu Verma, MD, is the director of the Celiac Center at Children’s Hospital of Philadelphia (CHOP). She offered this insight on how to handle bullying among kids. “I think it depends on each age group. Children who are in the upper elementary and lower middle school don’t feel comfortable taking it to their teachers. They need to take it to their parents. Dealing with celiac disease or a gluten sensitivity can be a challenge at times. With a little support and some helpful tips like these, hopefully raising a gluten-free child can be a bit easier. 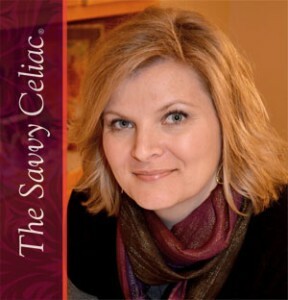 Amy Leger is the family editor for Gluten-Free Living and founder of TheSavvyCeliac.com. Emma, her daughter with celiac disease, is now 16 years old. They live with their family in Minnesota. Part One of Amy’s tips on eating, cooking and shopping gluten free, can be found here.